This university’s success and growth is a reflection of the cumulative effort put forth by many people throughout its colorful and varied history. 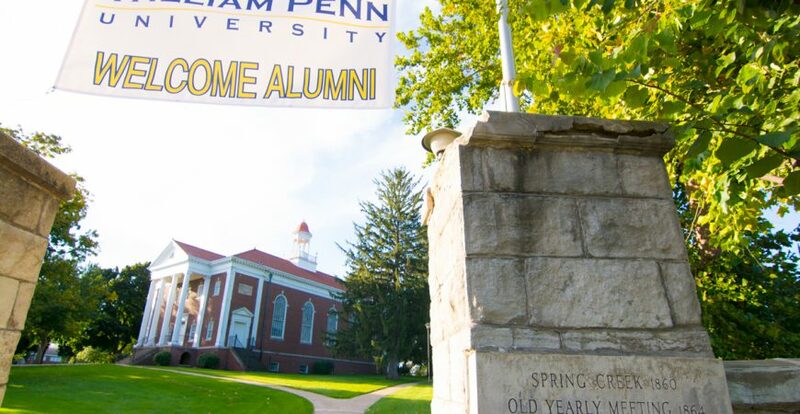 Looking forward, the success and growth of William Penn University will require the same dedication, commitment, and care given by the men and women who came before us. Together, we are William Penn University. With you, we will strive to achieve the level of giving that will allow us to solidify and expand on the foundation that was built over 140 years ago. This is our opportunity to contribute to an institution that has stood on the principles of simplicity, peace-making, integrity, community, and equality. We hope you will join us in supporting the mission of the University by helping perpetuate this legacy of affordable education for all deserving students. Every single gift, whether $20, $2,000, $20,000 or more, makes a difference and helps to make the William Penn experience available to more students. You play a role in assuring William Penn University maintains a quality academic program through your participation in one of our clubs. For more information or for questions regarding the Partnership Fund, contact Marsha Riordan in the Office of Advancement.